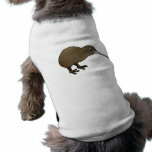 The Brown Kiwi is native to New Zealand. 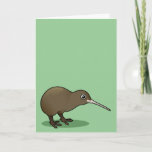 The Southern Brown Kiwi or Common Kiwi (Apteryx australis) lives on the South Island and the North Island Brown Kiwi (Apteryx mantelli) lives on the North Island of New Zealand. 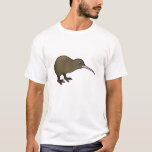 Before 2000 these two were considered one species of Kiwi. 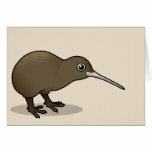 Kiwis are flightless birds that are about the size of a domestic chicken. They lay the largest egg in relation to their body size. 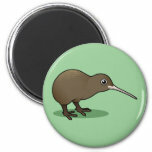 It is the national symbol of New Zealand. 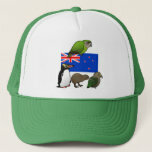 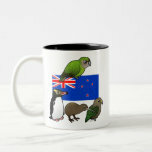 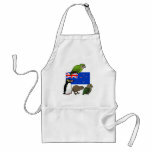 For other New Zealand birds check out our Kakapo and Kea. 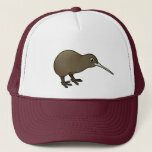 The Brown Kiwi is listed as Vulnerable on the IUCN Red List and was last assessed in 2013 by BirdLife International. 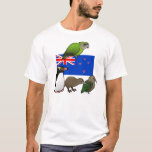 Mainland populations of this species may be in extremely rapid decline, based on probable annual declines caused by introduced species. 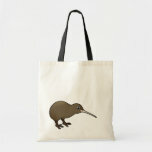 However, the large Stewart Island population may be stable, and thus the overall decline is likely to be slower, but still rapid, warranting Vulnerable status.